« What does the Bible say about suicide? Does faith in Jesus Christ lead to health, wealth, and success? Proponents of the prosperity gospel use selected Bible verses to support their claim that if you follow a series of faith principles, Jesus Christ will bless you with financial wealth, health, and amazing success in all areas of life. The problem is that these preachers and teachers often use verses such as Psalm 1:1-3 or John 10:10 out of context and twist them to build self-aggrandizing ministries that emphasize financial wealth and success, but neglect a more comprehensive range of Biblical teaching. They become rich through the financial support of gullible followers who blindly fund their ministries in the hope that they, the followers, will experience material and financial success. 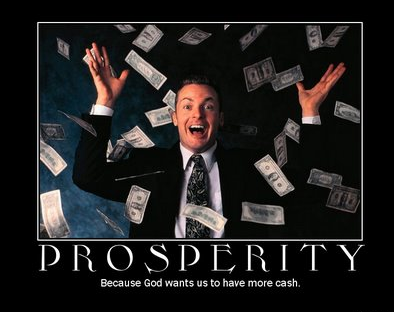 These false teachers interpret “prosper” to mean primarily material and financial prosperity. However, the real meaning of the passage is not that people who delight in God will be blessed with material prosperity—but that they, being deep-rooted in God’s Scripture and in obeying him, will have everything they’ll need to sustain their lives and bear fruit in all circumstances. “I have come that they may have life, and that they may have it more abundantly” (NKJV). While they interpret “abundantly” to primarily mean financial and material success, the context of this verse does not imply that. John 10:10 must be seen in the wider context of chapters 8, 9, and 10 in which the Pharisees are seeking to kill Jesus because he has been exposing them for what they are—blind leaders, thieves, and robbers who lead people astray with their false and burdensome teachings and requirements. Here Jesus asserts that he is the only way to eternal life and salvation and that he alone can infuse in us a fullness and superabundance of life and vitality for our here-and-now. So, does faith in Jesus Christ lead to health, wealth, and success? With such fullness of life and divine fruitfulness, we are indeed wealthy with God’s richest blessings—whether we are sick or healthy, rich or poor, absent in body or present with the Lord. Great verses to point us toward true riches. Bob Paul’s class on The Kingdom of God is a great reminder that Jesus’ kingdom is not of this world, that His riches do not rot or fade or disappoint the way the world’s riches do. To enjoy these true riches though we have to come under the authority of the King. Thanks, Jan. I look forward to Bob coming to Open Word with his new series. Thank you, Derrick. You bring up many valid Scriptural points here, and the required balance. The main problem with the “Prosperity Gospel” is that it all falls apart when people can no longer be convinced to support its proponents and their relatively upscale lifestyles. God will bless whatever we do for him if our hearts are right, however, and this may sometimes involve supporting such ministries or ministers which might be termed prosperity gospel oriented. Some of the shysters are obvious, some not so much, and some are not shysters at all. Since real believers belong exclusively to God, and that includes all their stuff, it is all God’s stuff anyway, and obedience in giving is the bigger issue. It’s sad though, that so many ministries of a certain kind have grabbed the spotlight, and as a result people become conditioned to support them as opposed to whoever else may need support and help, as directed by the Lord. In other words, if preachers instruct us to give as the Lord gave, we will give to anyone and everyone regardless of whether or not they may be “ministers of the Gospel,” or “official” ministries, and whether or not a tax deduction is involved. The Lord clearly instructed His people to give in secret, and accordingly, they will rewarded by the Lord [Matthew 6:1-4]. Thus, if one is successful in giving in secret, no one will know he is giving, unless they can decipher the “rewards” given by the Lord, many of which you speak of in your post. Thank you, RJ, for your additional insight on giving. One of the unfortunate results of people believing the promises of the Prosperity Gospel is that when the promises are not fulfilled, they become angry at God and turn their backs on him. Some are told that the reason why they weren’t blessed was because they didn’t have enough faith or that they had un-repented sin in their lives. You are a good and faithful man. What you have taught us here is a blessed counter to all of the bloggers (many of them nominal Christians) who would have us believe that, in essence, Anthony Robbins is the world’s greatest theologian–at least, that would seem to be their held belief, given their continual blog content. Many times, even the word “God” does not appear, or if it does, it seems to be a self-serving Name-drop. “Rightly dividing the word of truth” (2 Tim. 2:15) is a lifelong pursuit, and while obviously truly seeking students of the Word come to occasionally differing conclusions, some error is easier to spot than other. Still, there will never be a lack of people whose primary goal in life is to profit from the ignorance and misplaced hope of others. I am still learning the pervasive meaning of “seek first the kingdom of God and His righteousness, and all these things will be added unto you.” It’s hard not to seek the ‘stuff.’ But placing all of that into the hands of God, letting Him decide what’s enough, and concerning myself with living to glorify Him, is where the ‘abundant life’ IS! Thanks again, Derrick. Be blessed! You are truly a saint, a child of God, saved by grace and the blood of Jesus, who is being used to light the path way, in a world with much darkness and misconceptions of what true wealth is. May the Holy Spirit continue to guide your words and thoughts, which act as a gyroscope and a moral compass, to help fellow pilgrims on the journey through this life. Your words and voice are a light on the top of a high hill, lighting way out of the valley, and the dark night of the soul. May God keep His hand upon you. Thank you, Charles. I appreciate your kind words and your ongoing prayer support and love. Dave, your stepping out in faith in your music ministry without a “safety net” is a daily demonstration of you seeking first the kingdom of God. We have been blessed through your ministry of music and know that you will be blessed out of God’s abundance. Thank you, brother. As a person who once believed in the prosperity gospel, I can see how believers, who are in debt and struggling, will latch onto such teachings. Hey, a drowning person will grab onto anything to stay afloat. My thinking changed when it hit me one day: why don’t these prosperity teachers go to India, North Korea, Haiti, and Africa? If their teachings really worked, what better places to prove their value to the whole world. But instead, they teach in safe auditoriums here in America. So, my philosophy on most teachings, including the prosperity gospel, is if it won’t work in India, North korea, Haiti, and Africa, do I even need to pay attention to it? Probably not. Great point, Larry, one that you demonstrate by your support of kids and programs in India and elsewhere. Grace and peace to you and Carol. Wow! See, Derrick your insight PLUS all the responses help to straighten me out. That is, I am in-sync here. I have a nephew who lives in STL who works for Joyce Myer, and I keep trying to explain to him why I am not a JM fan. Yet, I am admirerer of her buddy Joel Osteen because he gives such motivating positive messages, and I can’t find an evil in maintaining a ‘blessed’ mentality. Your views? Grace and peace to you, Vincent. I believe everything that’s in the Holy Bible that is what I have been taught from men and women of God where I attend. We preach and teach the true word of God. Yes, God do wants us to prosper in health as well as wealth and be successful in everything we do. I can speak of many time God has bless me with financial blessing and heal my body time after time. I am a born again believer wash in the blood of the lamb Jesus Christ ( by savior). 2 Timothy Chapter 2:15 say study to shew thyself approved unto God, a workman that needeth not to be ashamed, rightly dividing the word of truth. What I am trying to say let us all be careful that we are hearing from the true living God when we preach or teach the true word of the living God. Jesus said you will know who belong to Him by the fruit they bear so let us who is born again bear the fruit of Jesus Christ. This is my opinion but I don’t believe that Joyce Meyer is a false teacher I have listen to her minister the word from time to time and her teaching has bless me. I just pray that we all make it in that is born again and truly has repented of their sin and encourage other to come to Jesus Christ WHO IS THE HOPE OF GLORY!!!!!!!!! Respondsia, thank you for your comment.It’s appreciated. Grace and peace to you.